As the year draws to a close, we’re taking stock of the food trends that have dominated the past 11 months (oat milk…hello), but above all, we’re laser-focused on what’s to come in 2019. Luckily, Whole Foods and its team of experts have once again done the work to predict the food trends that are sure to rise to popularity in 2019. Curious to add them to your plate before the new year officially rolls in? Read on. In the forms of proteins like longganisa (a Filipino pork sausage), cuttlefish, and shrimp paste, as well as produce like dragonfruit, guava, and passionfruit, Pacific Rim flavors are poised to increase in Western accessibility. 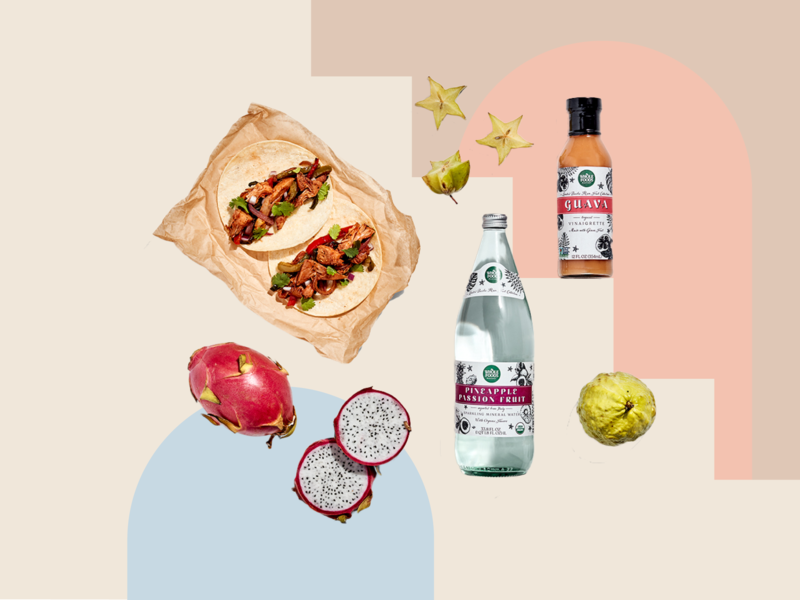 Whole Foods’s own 365 Everyday Value line also plans to roll out a collection of Pacific-inspired products, including a pineapple passionfruit sparkling water and a guava vinaigrette. Probiotics like kimchi and sauerkraut enjoyed a boost in popularity over the past year, and now, new strains of gut-friendly bacteria are making fermented products more shelf-stable. It’s not just about pickles now—probiotics will be found in everything from granola bars, to powders, to shakes for healthy, stomach-soothing snacking. The rise of ketogenic and paleo diets has played a hand in the rising popularity of healthy fats, which Whole Foods has labeled “phat fats.” In the coming year, many of these fats will be found in nut-based treats that consumers in wellness circles have taken to calling “fat bombs,” as well as butters and snacks made with ghee. Hemp has long been considered a health food, in the form of hemp hearts, seeds, and oils, but the CBD craze has inspired both food scientists and producers to research other parts of the plant. Expect to see more CBD innovations to show up in supplements (though the ingredient still exists in a federal grey area regarding its legality in some states), as well as other hemp-derived wellness products. Last year, Whole Foods predicted the rising popularity of plant-based diets, which, thanks to innovations like the Impossible Burger, have become easier to maintain. Now, more snacks are becoming available for meat-free consumers, in the forms of pork-free cracklins and vegan jerky, which deliver rich, umami flavor in a plant-based product. It’s about time: with more and more pressure to go green, many companies are taking a hard, firm look at how they package their materials. Expect to see more compostable straws in 2019, along with plastic alternatives and greater efforts to reduce, reuse, and recycle. Ice cream innovations didn’t end with trendy, low-cal options like Halo Top. Expect to find unique flavors (tahini! avocado! mascarpone!) in the forms of sorbet and gelatos as the new year rolls onward, as well as globally inspired options like Thai ice cream and even more mochi. It should be clear by now: 2019 will be a year of very, very good snacks, across the board. In addition to more, innovative, off-the-shelf snacks, experts predict more and more upgraded options. Think: small, fancy goat cheeses, charcuterie snack packs, and artisanal desserts. Cheese plates are no longer just for special occasions. As there’s growing transparency surrounding food sourcing and production, companies that outwardly support initiatives that empower workers will gain more traction. Brands that employ and support women (like moringa powder brand Kuli Kuli), as well as companies that work to alleviate global poverty through microcredit systems, do the work to change the global economy for the better—and supporting them helps them to help others.